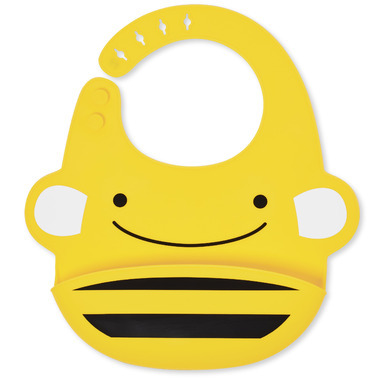 Skip Hop Zoo Fold & Go Silicone Bib catches mealtime messes with this soft silicone bib! Most baby and toddler bibs get quickly stained and contribute to your laundry pile. Skip Hop Zoo Fold & Go Silicone Bib easily wipes down for quick cleanup. You can even pop it in the dishwasher! 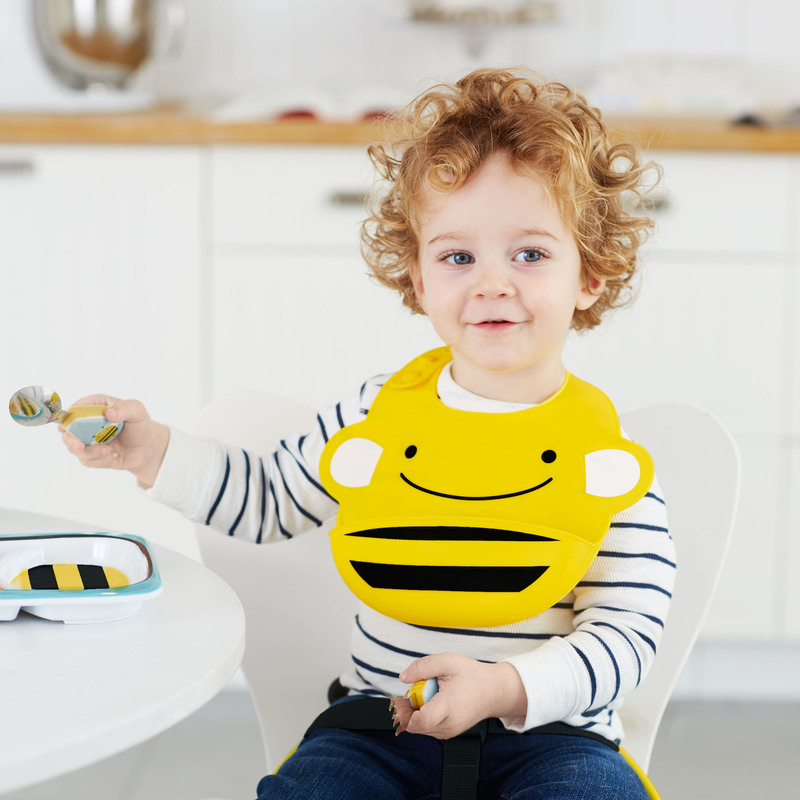 With a deep pocket to catch crumbs, it’s made of food-safe silicone and has an adjustable neck strap for baby’s comfort. Easily our favourite bib for our 7 month old, spoon-fed baby! Easy to wash, fits around their tiny neck and catches whatever drops into front pocket.